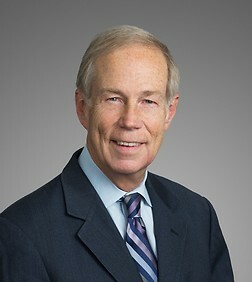 Bob Stumpf is Of Counsel in the firm's San Francisco office and serves as leader of the firm's Financial Institutions Litigation team. Bob's principal areas of practice are commercial litigation and appellate law. His commercial litigation practice focuses upon financial institution litigation, real estate litigation, securities litigation, contract and partnership disputes, bankruptcy litigation, and other types of complex commercial litigation. Bob is also a Certified Specialist in Appellate Law. Stockton Citizens for Sensible Planning v. City of Stockton (2010) 48 Cal.4th 481. Represented a national retailer in the California Supreme Court in a successful challenge to land use rulings. Represented a Silicon Valley firm in a successful petition to the California Supreme Court establishing the principle that a contracting party cannot be held liable in tort for interfering with its own contract. Represented a national bank in a case in the California Supreme Court that clarified the scope of the "litigation privilege" under California law. Represented a national commercial brokerage firm in the California Supreme Court in an action that clarified the nature and scope of contractual attorneys fees. Represented a major real estate development corporation in the successful resolution of a homeowner/class action dispute involving more than 150 residences. Represented a national bank in a class action alleging unlawful sharing of customer information. Represented The Hillman Company, a major private corporation, in lender liability litigation involving a leveraged buy-out between the two largest dairies in California. Represented several commercial brokerage firms in numerous cases involving the alleged misappropriation of trade secrets and "raiding" of employees and clients. Represented a national bank in prosecuting a trade secret claim against a former employee. Represented an Indonesian development corporation in a complicated jurisdictional dispute leading to dismissal of all claims. Represented Southwest Airlines in appellate litigation concerning the scope of preemption under the Airline Deregulation Act of 1978. Represented Cessna Aircraft Company in appellate litigation concerning the scope and interpretation of the General Aviation Revitalization Act of 1994. Represented a regional bank in a lender liability dispute involving the bank's largest commercial credit. Represented a national accounting firm in the successful resolution of major litigation involving a failed oil syndication empire. Represented a technology company in obtaining affirmance of a federal court dismissal based upon separation of powers and "state secrets" doctrine. Represented a commercial brokerage firm in establishing principle that a contractual attorneys fees clause can include both tort and contract claims. Represented the FDIC in obtaining affirmance on the appeal of a multimillion-dollar judgment against the founder of a major Southern California bank. Represented McKesson HBOC, a San Francisco-headquartered public company, in litigation leading to a $3-million refund of sales taxes. Represented Westinghouse and numerous regional companies in connection with labor litigation and arbitration disputes. Represented American Hospital Supply Corporation in the successful reversal on appeal of a $2-million judgment. Represented a New York-based investment firm in the successful reversal on appeal of a $1.6-million judgment. Represented officers and directors of a high-tech public company in a derivative action dispute arising out of hard-fought proxy litigation. Represented a commercial brokerage firm in the successful reversal of a punitive damage award and other damages on appeal. Represented brokerage firms and claimants in more than 30 arbitration hearings before the National Association of Securities Dealers, Inc. Represented Parker Hannifin, a Fortune 500 manufacturer, in a successful reversal on appeal of a $6-million damages award.